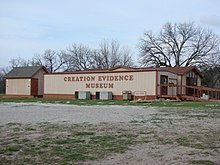 The Creation Evidence Museum of Texas, originally Creation Evidences Museum, is a creationist museum in Glen Rose in Somervell County in central Texas, USA. Founded in 1984 by Carl Baugh for the purpose of researching and displaying exhibits that support creationism, it portrays the Earth as six thousand years old and humans coexisting with dinosaurs, disputing that the Earth is approximately 4.5 billion years old and dinosaurs became extinct 65.5 million years before human beings arose. The Creation Evidence Museum was founded by Carl Baugh, a young Earth creationist, after he came to Glen Rose in 1982 to research claims of fossilized human footprints alongside dinosaur footprints in the limestone banks of the Paluxy River, near Dinosaur Valley State Park. He claims to have excavated 475 dinosaur footprints and 86 human footprints, which form the basis of the Creation Evidence Museum as well as other exhibits. Baugh, who does not have an accredited degree, remains the director and main speaker for CEM. 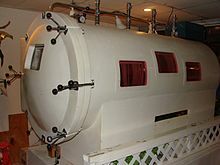 In 2001 Baugh and Creation Evidence Museum were featured on The Daily Show where Baugh likened human history to The Flintstones and the show poked fun at his claims about the hyperbaric biosphere, pterodactyl expeditions, and dinosaurs. The Creation Evidence Museum sponsors continuing paleontological and archaeological excavations among other research projects, including a hunt for living pterodactyls in Papua New Guinea, and expeditions to Israel. Materials from the museum have been recommended by the National Council on Bible Curriculum in Public Schools, but the NCBCPS curriculum has been deemed "unfit for use in public school classrooms." One of the museum's projects is a "hyperbaric biosphere", a chamber which the museum hopes will reproduce the atmospheric conditions that these creationists postulate for Earth before the Great Flood, and enable them to grow dinosaurs. Baugh says that these conditions made creatures live longer, and get larger, smarter and nicer. He claims that tests under these conditions have tripled the lifespan of fruit-flies, and detoxified copperhead snakes. A much larger version is under construction in the new building. In 2008, a descendant of a family that provided many original Paluxy River dinosaur tracks in the 1930s claimed that her grandfather had faked many of them, including the Alvis Delk Cretaceous Footprint. Zana Douglas, the granddaughter of George Adams, explained that during the 1930s depression her grandfather and other residents of Glen Rose made money by making moonshine and selling "dinosaur fossils". The faux fossils brought $15 to $30 and when the supply ran low, they "just carved more, some with human footprints thrown in." All of the creationist exhibits have been strongly criticized as incorrectly identified dinosaur prints, other fossils, or outright forgeries. The second floor balcony of the museum features prominently a 12 feet (3.7 m) high statue of Dallas Cowboys football coach Tom Landry. The "London Artifact", also known as the "London Hammer", an out-of-place artifact found in 1934 in London, Texas. This is a hammer "of recent American historical style" (18th or 19th century) found in a limestone concretion that has been claimed to be Ordovician period or Cretaceous rock. It was examined by scientists who concluded that the stone has not necessarily been part of the surrounding rock formation but can have formed around the hammer relatively recently: "The stone is real, and it looks impressive to someone unfamiliar with geological processes... Minerals in solution can harden around an intrusive object dropped in a crack or simply left on the ground if the source rock (in this case, reportedly Ordovician) is chemically soluble." The "Burdick Track", a human footprint in Cretaceous rock. Glen J. Kuban and geologist Gregg Wilkerson described anatomical errors in the "footprint", and remains of algae which indicate that it was carved into the bottom of a limestone slab, similar to other tracks that were carved in the Dinosaur Valley State Park area. The "Fossilized Human Finger", a finger where tissues appear to have been replaced by Cretaceous stone. The stone was not found in situ and according to Mark Isaak "looks remarkably similar in size and shape to the cylindrical sandstone infillings of Ophiomoipha or Thalassmoides shrimp burrows commonly found in Cretaceous rocks. Although its general shape is fingerlike, it has none of the fine structure one would expect from a finger." The "Meister Print", two trilobites in slate that appear to be crushed in a sandal print. The print is "questionable on several accounts" such as the shallowness of the print, spall patterns, striding sequence, and similarities to the Wheeler formation. "In short, the trilobites in the specimen are real enough, but the 'print' itself appears to be due solely to inorganic, geologic phenomena," according to Kuban. The "Hand Print in Stone", allegedly a hand print in Cretaceous rock. Baugh has provided no evidence it was in situ in any Cretaceous bed, nor allowed experts to inspect it. Creationists have been critical of it too. The "Alvis Delk Cretaceous Footprint", allegedly a human footprint partially overlapped by an Acrocanthosaurus dinosaur footprint, found when a slab supposedly taken from Glen Rose was later cleaned up. The footprint is presented as representing Homo bauanthropus, a species name coined by Baugh but not recognised by anyone else. Biologist PZ Myers described it as a blatant fake. The "human print has toes like tubes and a weirdly dug-in big toe", while "the dino print is even worse — it’s basically a three-pronged flat plate" with no resemblance to a real dinosaur footprint. Kuban described anatomical problems in detail. He notes that the slab was not documented in situ, and there are significant issues with CT scans claimed to authenticate the slab. Other creationists have not supported the claims, and one of those originally promoting the slab has removed the information from his website. In 1982–1984, several scientists, including J.R. Cole, L.R. Godfrey, R.J. Hastings, and Steven Schafersman, examined Baugh's purported "mantracks" as well as others provided by creationists in Glen Rose. In the course of the examination "Baugh contradicted his own earlier reports of the locations of key discoveries" and many of the supposed prints "lacked characteristics of human footprints." After a three-year investigation of the tracks and Baugh's specimens, the scientists concluded there was no evidence for any of Baugh's claims or any "dinosaur-man tracks". Young Earth creationist organizations such as Answers in Genesis and Creation Ministries International have criticized Baugh's claims saying he "muddied the water for many Christians ... People are being misled." Don Batten, of Creation Ministries International wrote: "Some Christians will try to use Baugh's 'evidences' in witnessing and get 'shot down' by someone who is scientifically literate. The ones witnessed to will thereafter be wary of all creation evidences and even more inclined to dismiss Christians as nut cases not worth listening to." Answers in Genesis lists the "Paluxy tracks" as arguments "we think creationists should NOT use" [emphasis in original]. The old Earth creationist organization Answers In Creation also reviewed Baugh's museum and concluded "the main artifacts they claim show a young earth reveal that they are deceptions, and in many cases, not even clever ones." The "Burdick track" and "fossilized finger" were featured on the controversial NBC program The Mysterious Origins of Man, aired in 1996 and hosted by Charlton Heston. Creationist Ken Ham criticized the production in the February 1996 Answers in Genesis newsletter in a review titled "Hollywood's 'Moses' Undermines Genesis." Ham attacked Baugh's claims, saying, "According to leading creationist researchers, this evidence is open to much debate and needs much more intensive research. One wonders how much of the information in the program can really be trusted!" 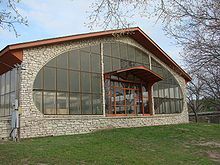 Wikimedia Commons has media related to Creation Evidence Museum. ^ a b c "Footprints of Fantasy", by Kaylois Henry, Dallas Observer, December 12, 1996. Retrieved August 15, 2008. ^ a b c "Creationism Alive and Kicking in Glen Rose", by Greg Beets, August 5, 2005, Austin Chronicle. ^ Finding the Evolution in Medicine Archived 2008-11-22 at the Wayback Machine, Cynthia Delgado, NIH Record, July 28, 2006. ^ "IAP STATEMENT ON THE TEACHING OF EVOLUTION" (PDF). Archived from the original (PDF) on 2006-07-05. Retrieved 2007-10-02. ^ a b "Creation Evidence Museum, Glen Rose, Texas", Roadside America. Retrieved August 15, 2008. ^ a b "Rock solid proof?" Archived 2009-04-17 at Archive.today, by David May, Weatherford Democrat, July 28, 2008. Also printed as "Rock-solid proof?" Archived 2010-04-17 at the Stanford Web Archive, in Mineral Wells Index, July 28, 2008. ^ Vickers, Brett (May 31, 2002). "Some Questionable Creationist Credentials". talk.origins. Retrieved 2007-02-19. ^ "Tyrannosaurus Redux". The Daily Show. November 14, 2001. Retrieved 2007-02-19. ^ "Adam, Eve and T. Rex", by Ashley Powers, August 27, 2005, Los Angeles Times. Retrieved August 14, 2008. ^ "Bronstein, head of Israeli Department of Antiquities, lectures in Glen Rose" Archived 2013-01-19 at Archive.today, John Watson, Cleburne Times-Review, February 05, 2006. ^ "The Case for Teaching The Bible", by David Van Biema, Time magazine, March 22, 2007. ^ Brown, Amanda Colleen (Winter 2007). "Losing My Religion: The Controversy over Bible Classes in Public Schools". Baylor Law Review. 59: 193–240. Archived from the original on August 20, 2008. ^ a b c Kennedy, Bud (August 10, 2008). "Human footprints beside dinosaur tracks? Let's talk". Fort Worth Star-Telegram. p. B02. ^ a b "Creation Science Rebuttals — Creation Evidence Museum Lacks Evidence! ", by Greg Neyman, Answers in Creation. Retrieved August 15, 2008. ^ a b "A Review of NBC's 'The Mysterious Origins of Man'", 1996, Glen J. Kuban. Retrieved August 15, 2008. ^ "Seeking Ancient Paths", John R. Armstrong, PSCF 41 (March 1989): 33–35, American Scientific Affiliation. Retrieved August 15, 2008. ^ "The Rise and Fall of the Paluxy Mantracks", by Ronnie J. Hastings, PSCF 40 (September 1988): 144–154. American Scientific Affiliation. Retrieved August 15, 2008. ^ a b Moore, Randy (2009). "Going Back to Glen Rose". Reports of the National Center for Science Education. Retrieved 30 June 2013. ^ "If I Had a Hammer" (Issue 15 (Volume 5, Number 1)). National Center for Science Education. Winter 1985. Retrieved 2007-02-19. ^ "The London Hammer: An Alleged Out-of-Place Artifact". The Paluxy Dinosaur/"Man Track" Controversy. 14 July 2006. Retrieved 2007-02-19. ^ a b Kuban, Glen (1992–2010). "Summary of Paluxy "Man Track" claims". TalkOrigins Archive. Retrieved 30 June 2013. ^ Kuban, Glen (2008). "The "Burdick Print"". The Paluxy Dinosaur/"Man Track" Controversy. Retrieved 2008-08-19. ^ Isaak, Mark. The Counter-creationism Handbook. University of California Press. p. 112. ISBN 9780520249264. ^ Stokes, William Lee. 1986. "Alleged Human Footprint from the Middle Cambrian Strata, Millard County, Utah." Journal of Geologic Education Vol. 34, pp. 187-90. ^ "The "Meister Print"". talk.origins. 1998. Retrieved 2008-02-19. ^ "Creation Evidence Museum Online — Museum Displays" Archived 2008-08-13 at the Wayback Machine, official site. Retrieved August 15, 2008. ^ "Alleged Human Hand Print in Cretaceous Rock". talk.origins. 2006. Retrieved 2008-02-19. ^ "Creation Evidence Museum Online – Alvis Delk Cretaceous Footprint", official site. Retrieved August 15, 2008. ^ "One step at a time"[permanent dead link], by David May, August 11, 2008, Mineral Wells Index. Retrieved August 15, 2008. ^ "Rock's finders discovering celebrity not always pleasant" Archived 2010-01-11 at Archive.today, by David May, August 12, 2008, Mineral Wells Index. Retrieved August 15, 2008. ^ "Transparent fakery". Pharyngula (blog). July 28, 2008. Retrieved 2007-02-19. ^ Kuban, Glen J. "The Delk Print". Retrieved 30 June 2013. ^ "Creation/Evolution" (Issue 15 (Volume 5, Number 1)). National Center for Science Education. Winter 1985. Retrieved 2007-02-19. ^ "What About Carl Baugh?". Creation Ministries International. 1998. Retrieved 2007-05-17. ^ "Arguments we think creationists should NOT use". Answers In Genesis. 2008. Retrieved 2007-05-17. ^ "Review of Carl Baugh's Museum". Answers In Creation. 2008. Retrieved 2007-05-17. ^ a b Thomas, Dave (March 1996). "NBC's Origins Show". Committee for Skeptical Inquiry. Archived from the original on 2007-02-03. Retrieved 2007-02-19. Creation Evidence Museum Online — official site. This page was last edited on 6 February 2019, at 11:13 (UTC).